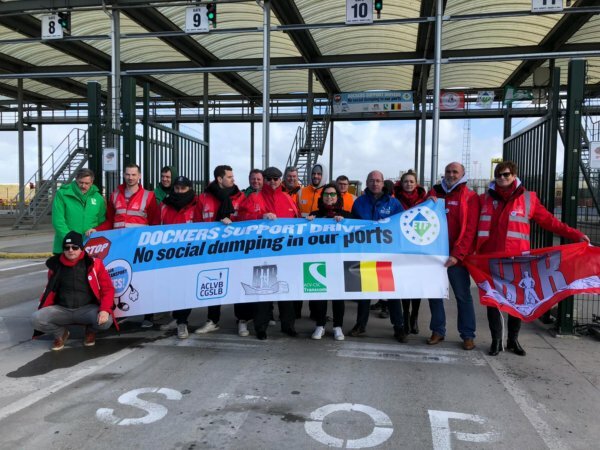 ETF affiliates representing dockers have held simultaneous actions in three countries as part of the Fair Transport Europe action week. 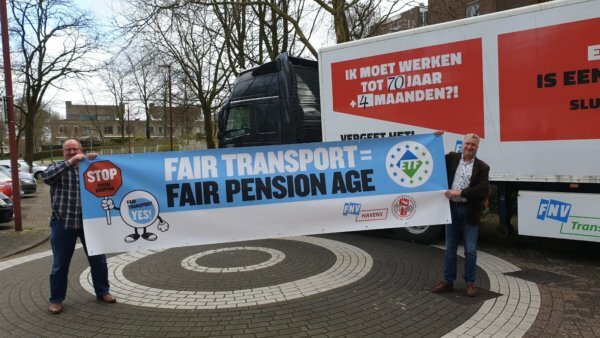 Today saw actions for fair pensions in Rotterdam, on lashing in Hamburg and Bremerhaven, and in support of drivers’ rights and tighter road inspections in Antwerp. Not only did we see cross-sector collaboration by our friends in Antwerp, the events in Germany also welcomed international colleagues from Norway and Lithuania. Solidarity between transport workers from different sectors is at the heart of our campaign for Fair Transport. We all face the same problems of social dumping, exploitation and unfair competition, so let’s stand together to fight for dignity at work! 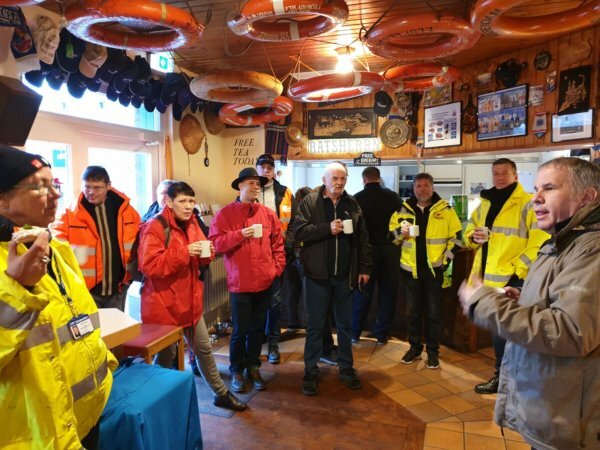 Today in Antwerp, dockers in the unions BTB, ACV-Transcom and ACLVB have been sharing the Fair Transport message with drivers as they enter the port. They are informing drivers about their rights and calling on them to back the fight for better inspections on the roads. ETF President Frank Moreels visited the action to show his support. Germany: Dockers in Bremerhaven and Hamburg insist that lashing is dockers work!